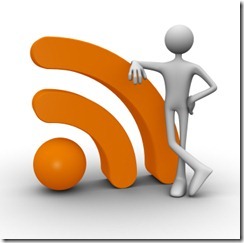 Till now Blogger used to have two Feed Control Options, a Short Feed or a Full Feed. The short feed, as the name suggests contains a short version of your post with HTML and images stripped off. The Full Feed contains everything including the images and the HTML. Now Blogger has added a third option which will give you better control over what gets displayed in your Feed. To change the Feed Settings, follow these steps. Well i don't use "read more on my blog"
after deciding the right lenght for my posts, i can explain everything into relatively short post. Maybe longer posts would increase "average time on page" but we all prefer images over long reading. @michkhoo - yea, lengthier posts will slow down the page loading. Blogger has added the Automatic Pagination feature to tackle this(blogger dynamically sets the number of posts displayed per page depending on the size of the posts). But its better to control it ourselves by using the page breaks :) rather than leaving it to blogger to automatically strip down the number of posts being displayed per page. But the Recent Posts has Dead after this update from blogger. any other way to show feeds for recent posts? recent posts showing as loading.. I am so excited about this, thank you so much for telling us! I started using the "read more" jump links a while ago to control the way my main blog url (home page) and had hoped it would work with the feed with no luck. So happy! Wao!!! You came up with a good feature which I was really looking my blog. I am happy to read about this new feature. I believe that I will test it on my blog soon. It is a great update from blogger. Thanks on notifying us. I loved this feature and already implemented in my site. Is there any way that I can configure the feed type by plugging in parameters in the feed URL? I syndicate my content to recipe websites using RSS, so I would still want the full content to go to them. But when someone clicks on the RSS link on my web page, or when I send out my "newsletter" via Feedburner, I would like to send the "until jump break" feed, so they come back to my blog to read the rest! If you set your feed to until jump breaks, then the full feed will actually show the until jump break feed. Any effectes in feedburner ?? thanks i applied and it is working.